CAPE TOWN, South Africa (CNS) — War rhetoric from South African political leaders could incite election violence and civil war, a South African bishop warned. 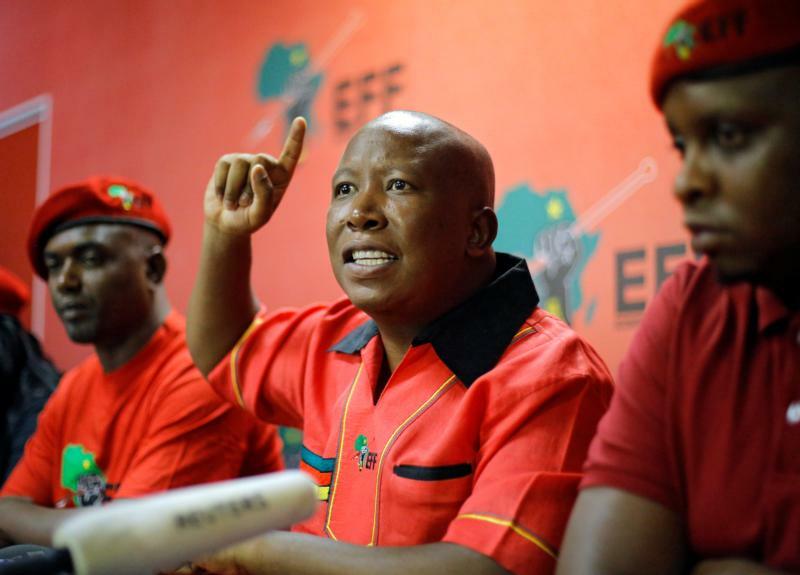 “We are deeply saddened to hear of war rhetoric by the leader of the Economic Freedom Fighters‚” Bishop Abel Gabuza of Kimberley, who chairs the Southern African Catholic Bishops’ Conference justice and peace commission, said in an April 25 statement. Service delivery protests have become increasingly common and violent in recent months as anger mounts in poor communities over problems such as no running water in some areas and a lack of paved roads in others. Riot police with tear gas and stun grenades have been called in to quell many of these protests around the country. The increase in violence by people protesting lack of service delivery and other issues “and the use of excessive force by the police” to curb the protests are deeply concerning, Bishop Gabuza said. South African local government elections are scheduled for Aug. 3.